Don’t know what to watch this Halloween? Here are 13 suggestions! Want to watch a horror film tonight, but don’t know what to watch? Don’t bother spending hours searching the web or browsing your DVDs; pick one from our extensive list of awesome horror films below! The obvious choice. Blank-faced murderer Michael Myers stalks poor Jamie Lee Curtis, killing a few other hapless folks along the way. Also, the music will haunt your dreams for weeks after. 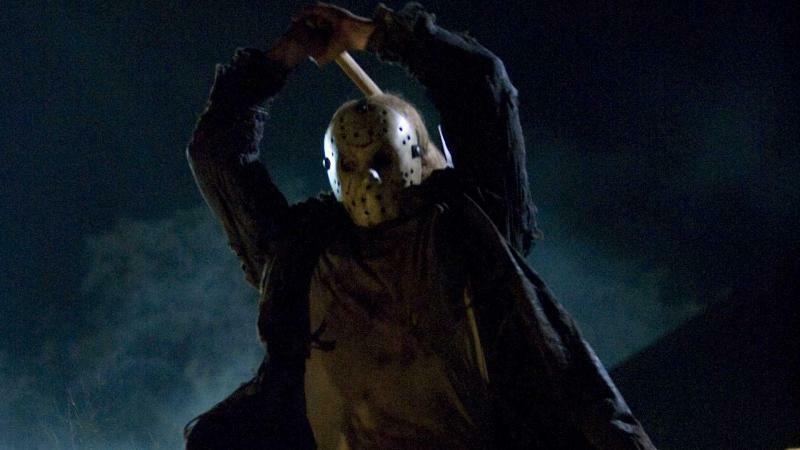 The inspiration for countless slasher flicks sees masked man Jason Voorhees chop his way through a whole campful of teenagers. You’ll never look at lakes in the same way again. One, two, Freddy’s coming for you! The infamous clawed madman is a bit of a joke these days, but he’s geniunely terrifying as the dream-haunting antagonist of the original Nightmare. Heeeeeeeeere’s Johnny! Jack Nicholson and his family get snowed in at a remote hotel, which sends poor old Jack a little bit loopy (and very murderous). Take a group of teenagers, pair them up with an insane family of cannibals and you get The Texas Chainsaw Massacre. While it’s not quite as bloody as it’s legendary status suggests, it is seriously disturbing. A ragtag bunch of space explorers are hunted by an unstopabble extraterrestrial nasty after an unfortunate encounter on a distant planet. Just remember: no-one can hear you scream in space, but they can hear you in your living room. We don’t what’s scarier: the killer little girl who appears 7 days after watching a videotape, or being reminded of just how inconvenient VHS was! What’s worse than an alien that wants to eat your brains? An alien that can shapeshift into any form, of course! Poor old Kurt Russell and his gang have to figure out who is The Thing and try their hardest not to get killed in the process. If you only watch one zombie movie this Halloween, make sure it’s Dawn of the Dead. We prefer the original, although the sequel is actually surprisingly brilliant too. While it’s not exactly scary, Evil Dead 2 – the tale of one man (and his chainsaw’s) struggle against an unspeakable evil – is easily the funniest horror movie you’ll ever see. Groovy! The found footage genre has got a little bit stale in recent years, but there’s no denying that the original Paranormal Activity brings scares by the bucketload. What starts out as a lovely jaunt down a big cave (nothing spooky about that) ends up becoming a desperate fight for survival against some cave goblins with a superior sense of smell and a taste for flesh. Got any Halloween movie suggestions for us? Share them in the comments!